Hi, All you Kid and Adult Theater Fans out there! Are you wondering what Broadway Shows for Kids are currently playing? The best way to find out if a show is for you and or your family is to check out the Plot, Content and Recommendations of the Box Office. Have you ever wondered how long your younger kids or younger brother and sister can sit still? Can they make it through a show? It depends upon, among other factors, their age, whether or not they have attended theater before and whether or not the show appeals to them. You can get information about the suggested age group and age limits at most of the Theater Websites. If in doubt, ask questions...call the box office. Included below is most of the information you need about Broadway Shows for Kids but don't hesitate to ask for more if need be. Audience: Age 6 and Up. Children under 4 will not be admitted to the theater. Everyone must have a ticket. Audience: All ages...Any child who has reached their second birthday requires a ticket for admission. Any child younger than 2 years old does not require a ticket, however, they may not occupy a seat and must sit on a parent or guardian's lap. Audience: Appropriate for children age 8 and up. Adult themes, however, nothing vulgar. Children under the age of 4 will not be admitted to the theater. 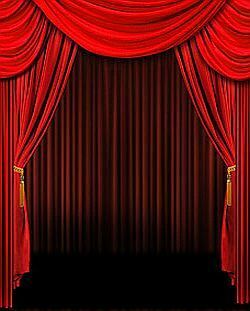 Broadway Shows for Kids will be updated as New Shows open and some of our favorites close. 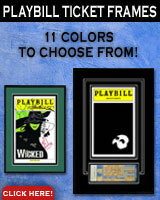 Come back to the the Broadway Shows for Kids page often to see what's new. See you at the theater!